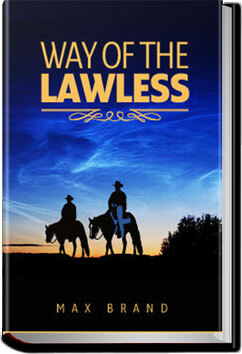 Young Andrew Lanning made one mistake in the beginning, and now the most feared lawman in the mountain desert, Hal Dozier, is on his trail and will stop at nothing to bring the outlaw Lanning to justice. But is Andrew guilty of all the things he is being accused of? There is one, a pretty young girl, who doesn’t believe all she hears about him. Again, Max Brand shows us why he is the master of the pulp western. This entry was posted in Action/Adventure Books and tagged all you can books, audio books, books, download audio books, free audiobooks download, free ebooks for kindle, listen to books online free, unlimited action and adventure books on January 28, 2014 by allyoucanbooks.